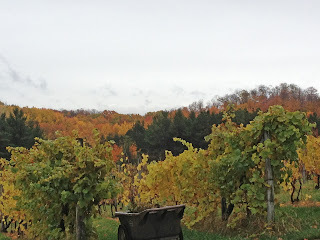 We had a full day of Traverse City exploring, eating and drinking that started with a delicious breakfast at the Sweetwater Bistro in the Grand Traverse Resort where we were enjoying our stay. My friend Lisa feasted on the Salmon Eggs Benedict, while I was enthralled with the Cornflake-Crusted French Toast. 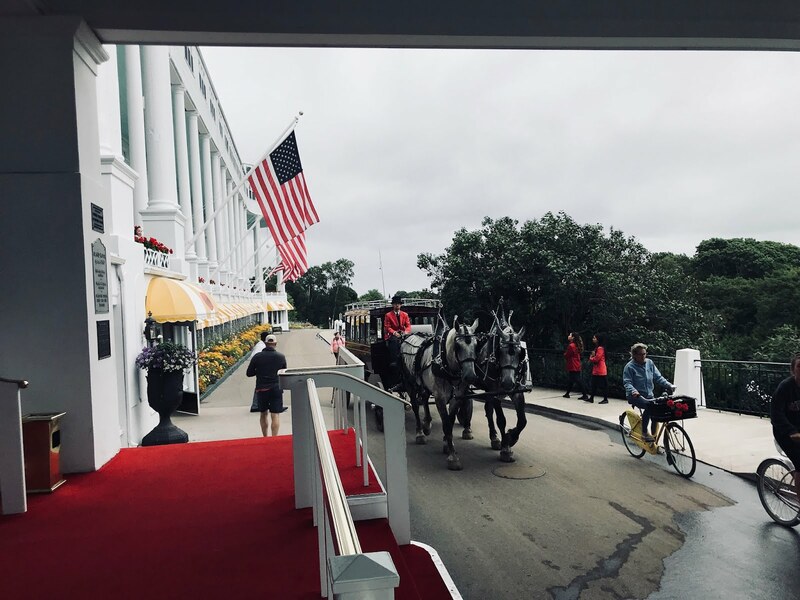 It was a short meal as Michael Norton of the Traverse City Convention and Visitors Bureau was waiting to take us around town for the day. I had met Mike on my last trip here and was looking forward to catching up and seeing what he had scheduled for us for the day. 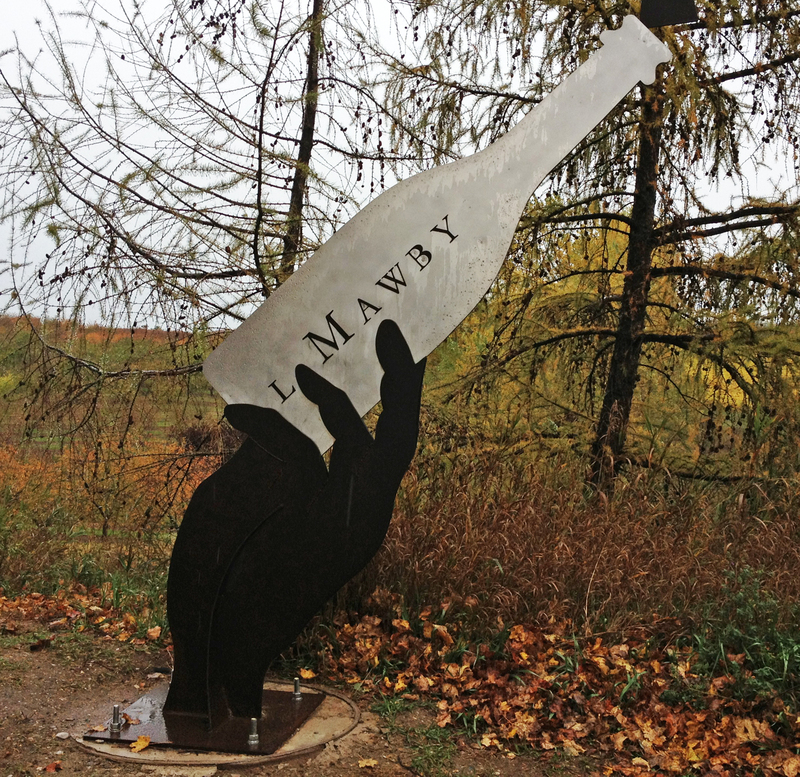 The first stop was at L. Mawby, known for their sparkling wines. I had visited them a few years ago, but was anxious to taste the latest. 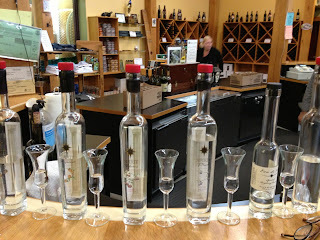 The winery had expanded their collection as well as opening a patio for tastings a year ago. Larry Mawby took us through the selection, which includes: Blanc de Blanc, a very good 100% chardonnay sparkling with a long finish; Cremant Classic, made from vignoles grapes and aged for a bit of wood within the fruity taste; Wet, a pinot gris and Riesling blend filled with apple notes; and the 2011 Reserve Pinot Gris, my favorite, is a combination of peach and citrus. Our next stop was a catch all as far as Traverse City is concerned. Black Star Farms refers to itself as an “agricultural destination.” Within this property you will find an inn, a cafe, a store/tasting room for wines and spirits made on the premises and a dairy that makes cheese. We started at Black Star with the wine and I was again impressed with the pinot gris of this area, this time in the 2011 Arcturos. The Rieslings here are equally impressive, with my favorite being the medium dry. 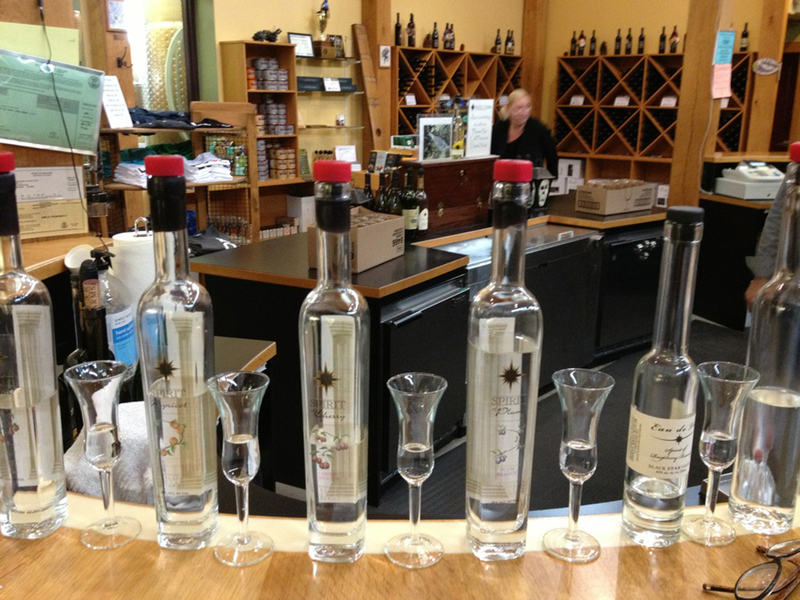 I’d also give a big shoutout to the 10 Year Old Apple Brandy as well as the 2008 Accapella, one of the best ice wines I’ve had in awhile. 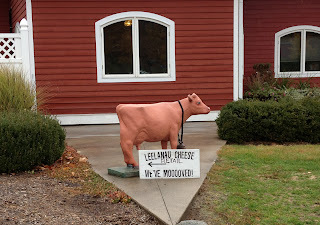 Before we left Black Star Farms we made a quick visit to the shop next door to taste the Leelanau Raclette Cheese, which was quite good. The Towne Plaza is a fairly new, rather unique restaurant as its focus is on pork, specifically from Mangalista Pigs. They are dedicated to fresh, local ingredients in the rather small menu and they got everything we tasted just right. 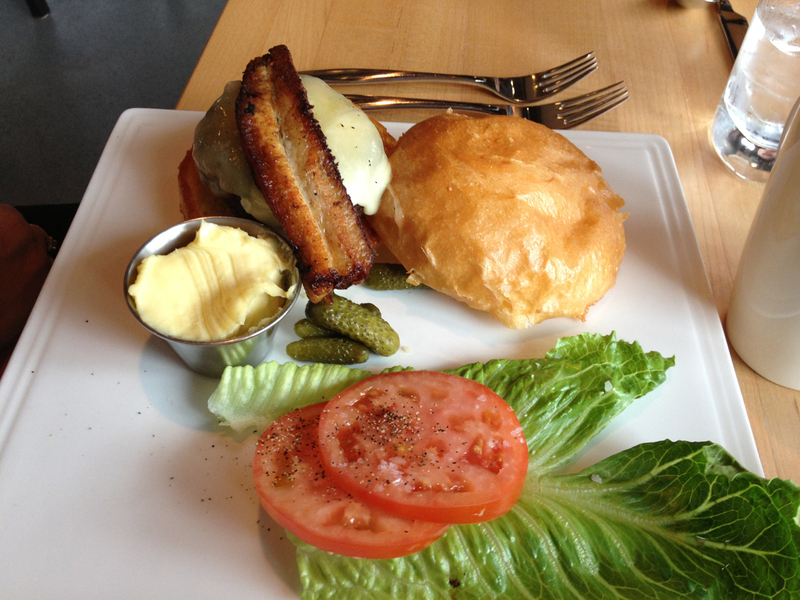 For Lisa, it was a burger made from ground Angus (house smoked) and topped with pork belly and cheddar. 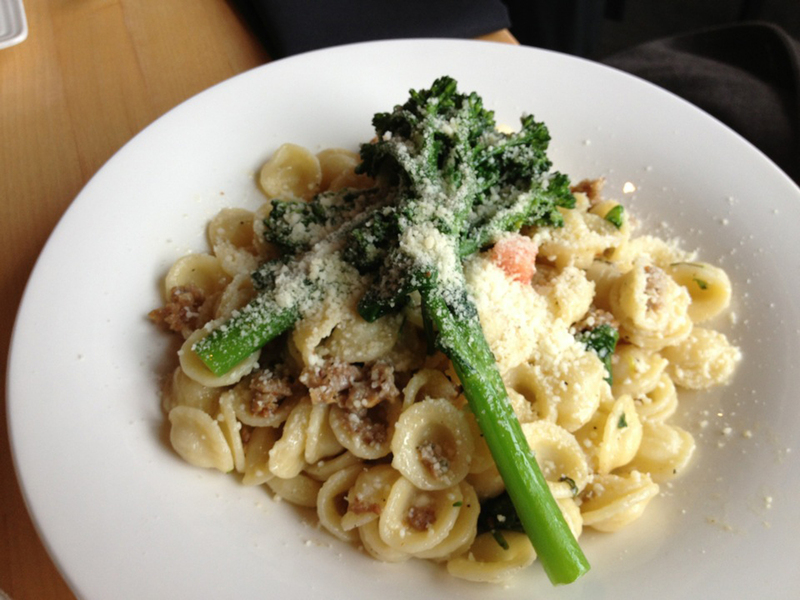 Mike had a charcuterie plate and I went for the pasta choice at the time, orecchiete with house-made sausage, broccolini, tomato and spinach. We saved dessert for Grand Traverse Pie Company where we shared slices that included one of the best ever -- the Grand Traverse Cherry Crumb. I’m still dreaming about that one! We soon found out that even Traverse City’s Right Brain Brewery has gotten into the pig business, offering a Mangalista Pig Porter. This unique brew is blended with the thigh and head of a smoked pig. 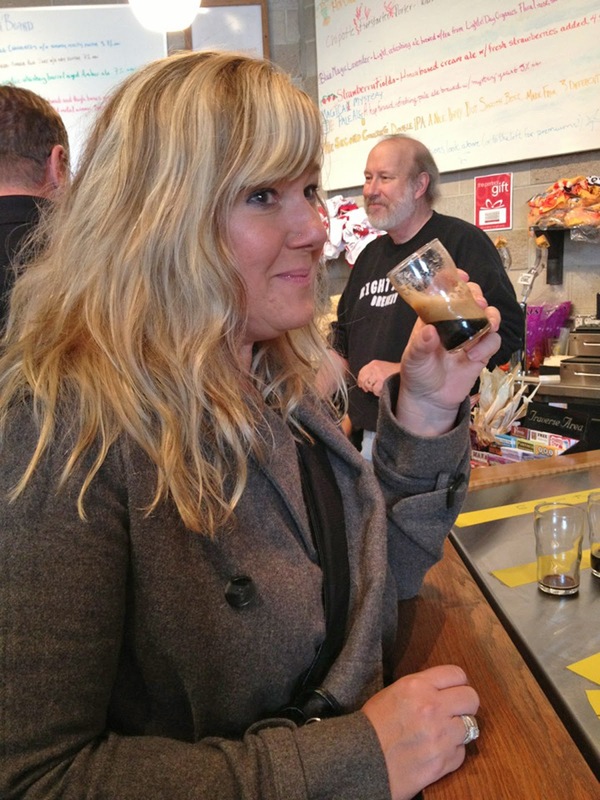 I’m glad I was able to capture Lisa’s “priceless” face when she first tasted it, though she did decide she liked the smoky taste once the initial shock of what she was drinking wore off. Mike took us back to the Grand Traverse Resort after Right Brain. We were pretty worn out from a day of tasting and decided to stay in for the night. In the morning we would be driving home, with a stopover in Grand Rapids for lunch. 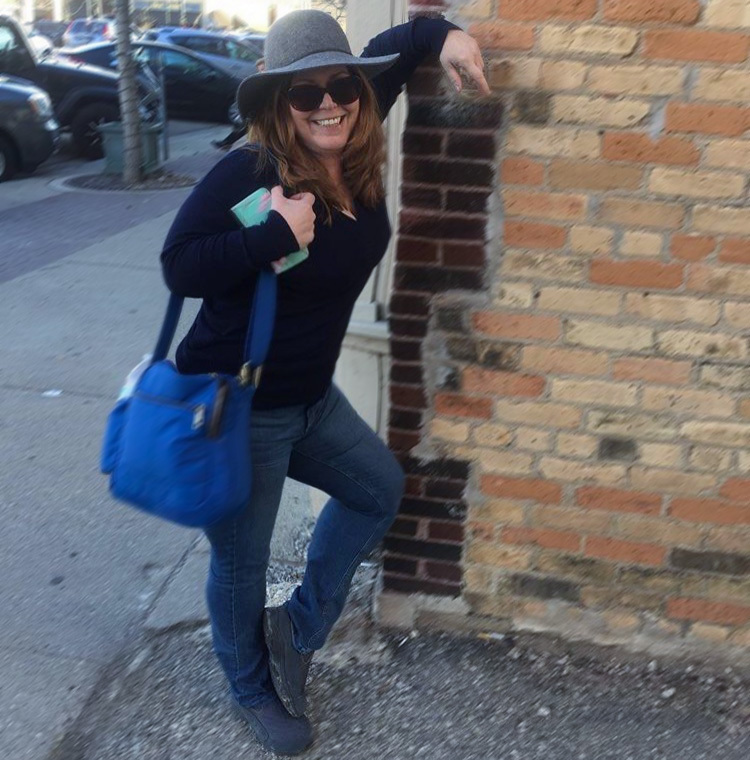 I’m loving your blog so much. Thank you for letting me know about it.